A breach of contract occurs when one of the persons who entered into the contract (which can be oral or in writing) fails to do or perform the duties required under the agreement. In this instance, the wronged party would have the right to seek compensation. In most cases, the innocent party would seek monetary damages when a breach of contract occurs. The amount payable would reflect the amount required to put the wronged party in the same situation as if the breach of contract had not occurred. In special circumstances, such as a dispute over real estate, the innocent party may ask the court for an order for specific performance, which means the party who breached the contract will have to fulfill the obligations in the agreement. Petrillo Law has successfully represented hundreds of clients in a wide variety of contract disputes across the Greater Toronto Area and beyond. Based in Mississauga, we are among the top contract law firms throughout the GTA and Ontario and can offer expert advice on all types of contract matters. We would be happy to review a proposed contract before you sign it. In a situation where a breach of contract may have occurred, we will review the agreement to confirm whether the other party has not fulfilled its duties properly. 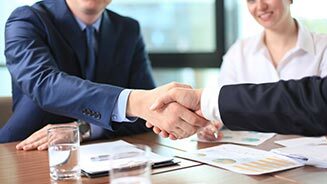 If a breach of contract has occurred, we offer Alternative Dispute Resolution (ADR) services to attempt to settle the matter quickly and in a cost-effective matter. If litigation becomes necessary, we will pursue the matter aggressively on your behalf. 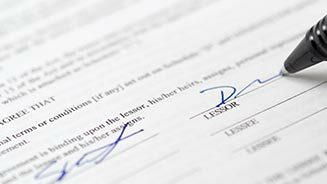 You only have a limited time to take action in a breach of contract case.